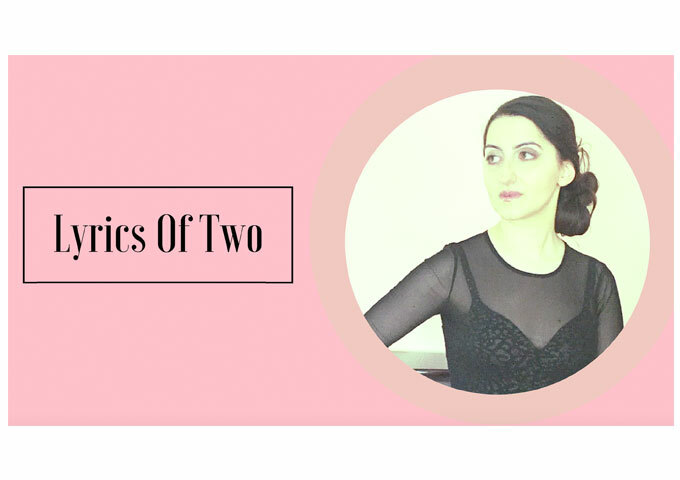 Lyrics Of Two have been building their off of creating profoundly beautiful music from subtle and unforced moments. Whether it was the wistful, stripped-down acoustic pop of “Mysteries”, or the gritty, rhythmic Americana rock of “Streetlights Are Spotlights”, they’ve shown the unparalleled ability to let their songs breathe. Lyrics Of Two’s restraint in not giving in to the temptation to over-edit or over-layer their work is even more remarkable in our era, which is so often chastised for turning everything up to max, overwhelming the listener into submission with noise. 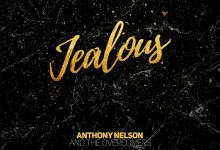 Instead, Lyrics Of Two relies on a modest refinement that breaks with current singer-songwriter trends that promote infinite ambition in lieu of the basics — melody, arrangement, storytelling and feeling. Lyrics Of Two is able to harness the dynamics of the vocals and their instinct for melody to create an understated-yet-memorable song. The composition is so emotionally moving precisely because of the band’s ability to use the slightest bit of ornamentation to hit the listener at the core. In doing so, the results are never forced and they certainly never overshadow the emotional resonance of the lyrics. Lyrics Of Two take a magnifying glass to the anatomy of our every day, offering a whimsical sense of comforting insight for those who sit down to carefully listen to their music. You can feel the empathy that permeates this recording consolidated by its axioms in real time, like a road map showing you a simpler path for your journey. Listening to their music, you’ll begin to realize that Lyrics Of Two speak with their songwriting choices as clearly as they speak with their lyrics. It’s the distinction between a film fleshing out its narrative with clever cinematography as opposed to needless exposition. Here, Lyrics Of Two, once again, draws the listener into their world of genius musings, reflection, and musical creation. They comfort and challenge us, while pulling at us in unexpected ways. 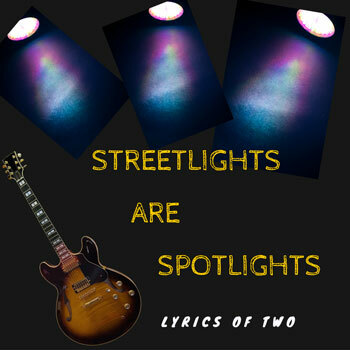 “Streetlights Are Spotlights” features a gritty male vocal supported by an upbeat acoustic driven rhythm. This song, together with “Mysteries” sound uniformly fantastic; but unlike many other sonically stripped down records, of which there are many in the world of acoustic, guitar-driven indie pop, these feel absolutely committed to both its aesthetic and its resolute emotional center. In the conveyor-belt, mouse-click driven circus that is the new music media, Lyrics Of Two can be considered a sophisticated expression of musical art. 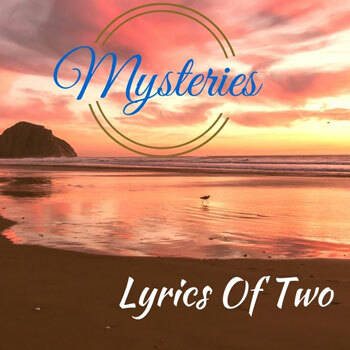 More About Lyrics Of Two: Award-winning Lyrics Of Two is a band from Los Angeles, California, founded by lyricist, songwriter and sociologist Marie Helen Abramyan. A classically trained pianist, Marie Helen’s training began with her uncle Ashot Abramyan, a notable violinist of the Utah Symphony, after whom the Abramyan String Quartet was founded. Lyrics Of Two have scored many chart topping, award winning songs, while Marie Helen has also written hit songs for international pop stars and for country music artists as well.